The most active 55+ communities offer activities, hobby clubs, special interest groups and social gatherings. Living an active adult lifestyle means spending time with others who share common interests and passions. Most active communities in the country offer countless opportunities to live a vibrant lifestyle. Resort-style clubhouses, outstanding amenities and a dedicated lifestyle staff create the perfect environment to enjoy special interest clubs, social gatherings and exciting events. The 20 most active communities for retirement feature at least 90 different clubs catering to a wide variety of interests. Living in one of these exceptional communities makes it easy to meet new people, to try new things and to enjoy favorite pastimes. 1. The Villages – The Villages, FL As one of the largest active adult communities in the world, The Villages offers over 1,800 different clubs and groups representing nearly every imaginable interest. Residents here enjoy the ultimate lifestyle for active living with an amazing collection of amenities spread across multiple clubhouses. 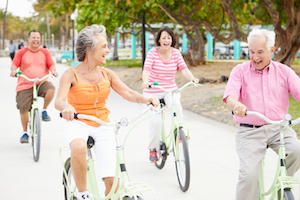 For retirees wanting to live an active lifestyle, The Villages is the ultimate destination. 2. Laguna Woods Village – Laguna Woods, CA With well over 200 special interest groups, Laguna Woods Village offers an impressive line-up of activities. From aerobics to yachting and everything in between, there truly is something for everyone at this exciting California 55+ community. Some of the more unique groups include the Aquadettes synchronized swimmers, the Optimist club and the Elite Special Events and Theatre club. 3. Rossmoor – Walnut Creek, CA Rossmoor homeowners have countless activities and events happening every single day. Residents can enjoy clubs dedicated to games, crafts, sports, religion, business and more. There’s a special club dedicated to philosophy, calligraphy, engineering, gardening, cycling and over 200 more unique interests. A robust offering of activities helps keep Rossmoor residents engaged in an exciting active adult lifestyle. 4. Hot Springs Village – Hot Springs Village, AR Arkansas is the land of opportunity and Hot Springs Village offers just that. Over 200 resident clubs cater to a wide variety of interests. There is an amateur radio club, a barbershop chorus, bowling leagues, an Audubon Society, a star gazing club, a newcomer's coffee club and countless others offering an abundance of opportunities to get involved at this popular active adult community. 5. Sun City – Sun City, AZ Sun City holds the distinction of being the very first active adult community of its kind. An estimated 200 clubs and special interest groups keep residents engaged in a vibrant lifestyle. There are social parties, dances, organized trips, classes, seminars, hobby clubs, fitness and sports clubs and countless more. Sun City residents also enjoy volunteering and giving back to their community, known as “The City of Volunteers”. 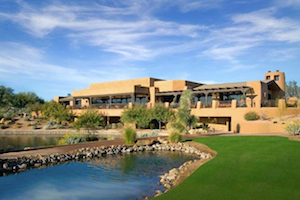 Tonto Verde is an impressive 55+ community in Arizona offering fantastic amenities and beautiful homes.